To delete a message, click MESSAGING in the top menu. 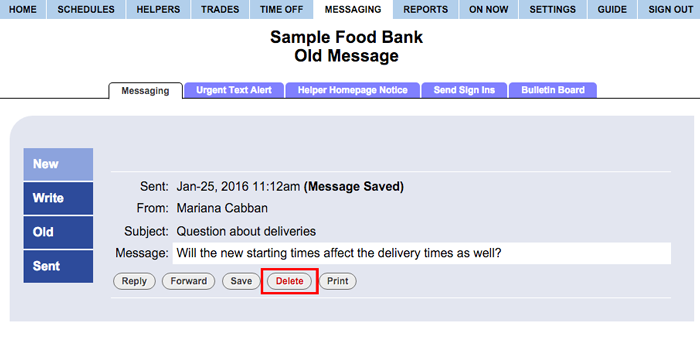 Choose the section you want to view, New, Old or Sent Messages and check off the messages and click the red Delete button. We recommend setting up your notifications to have all messages forwarded to your email account so that you can keep them on your computer for archive purposes.